AWFUL PICTURES, TERRIBLE WORDS: A Bit of Comic Relief. Seriously. Really. Seriously. 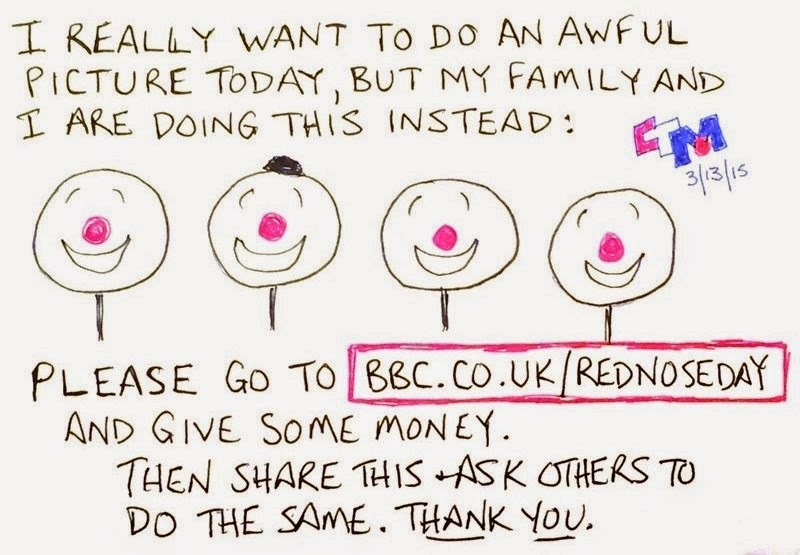 Please go to the Comic Relief Red Nose Day website now and give them some money. Then tell everyone you know to do the same thing. Please please please.